So simple yet so good! Mango and baobab powder make the perfect combination for a refreshing and delicious salad dressing with superpower! 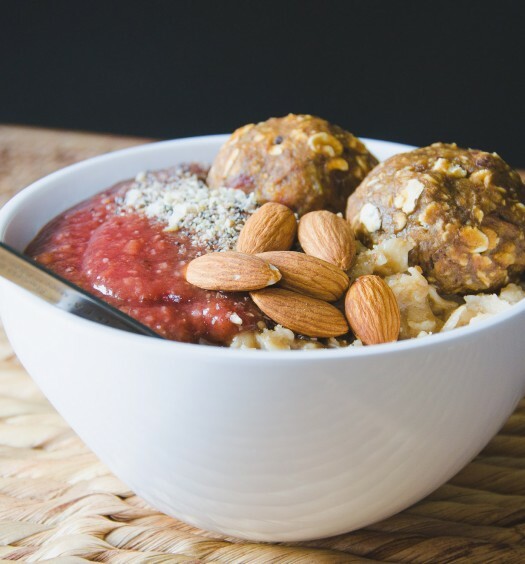 Did you know that baobab powder has an unique nutritional profile with a high 50 % fibre content, more Vitamin C than oranges, more iron than red meat, more calcium than milk and more potassium than bananas? 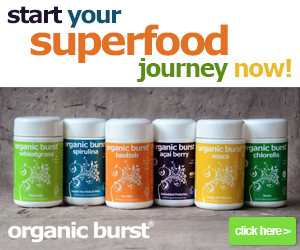 Read more about the benefits of baobab in our post about Organic Burst Superfood Supplements. 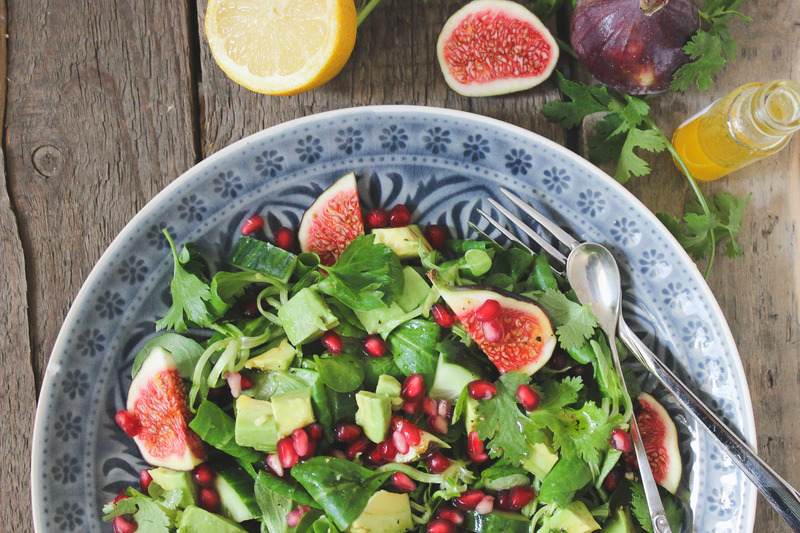 Wash the salad, chop cucumber, figs and avocado. 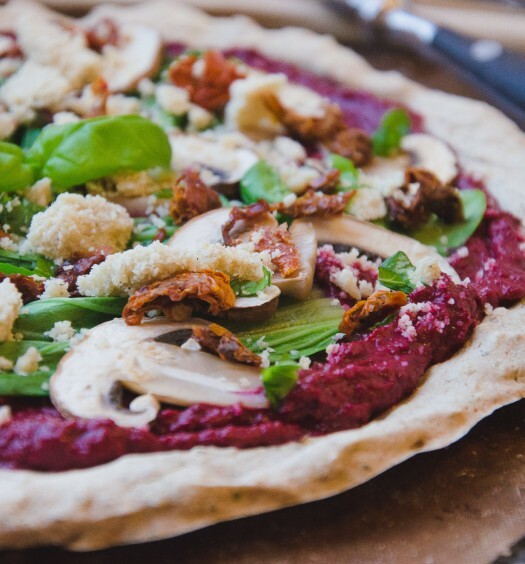 For the dressing, blend all ingredients until smooth (we recommend using an immersion blender). 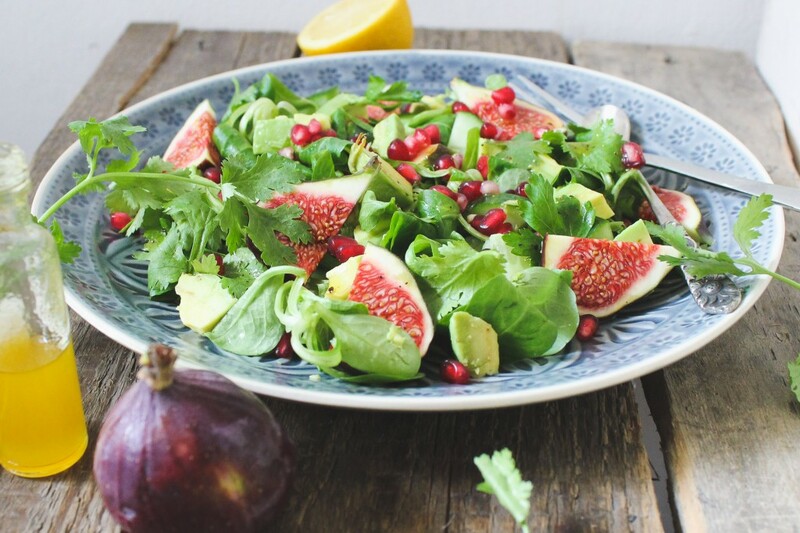 Put all vegetables in a bowl, garnish with pomegranate seeds & figs and top with mango-baobab dressing.